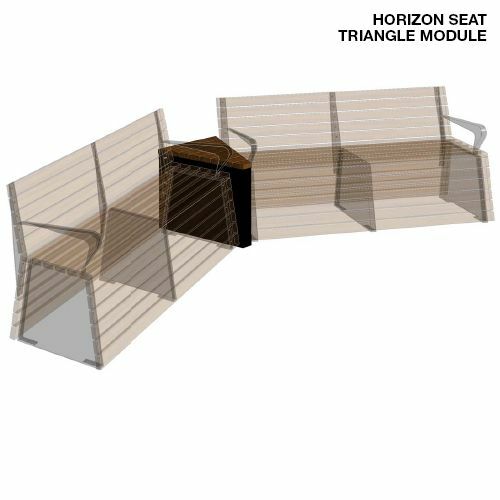 Three choices of joining modules (right-angle, straight or triangle) present an endless array of configurations, able to fit any open space. 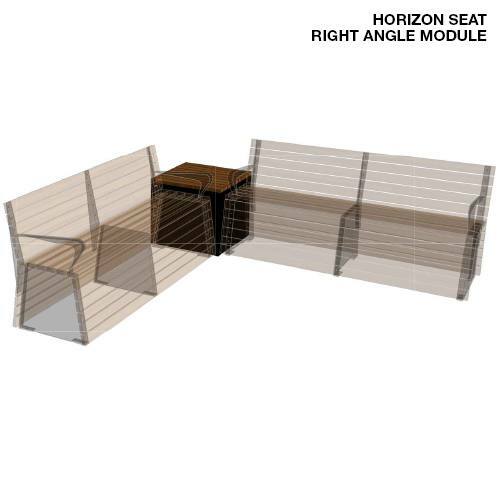 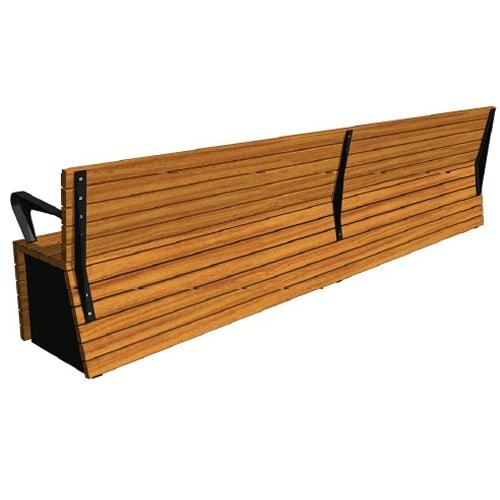 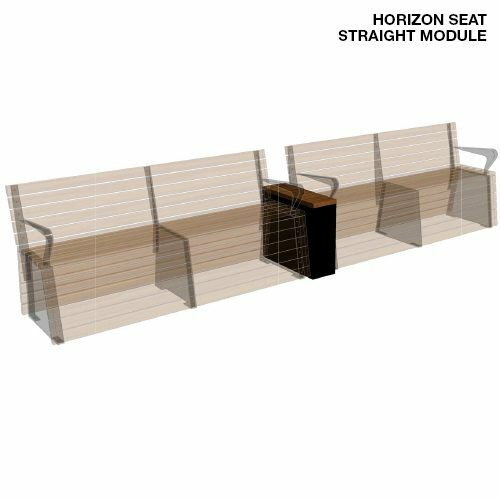 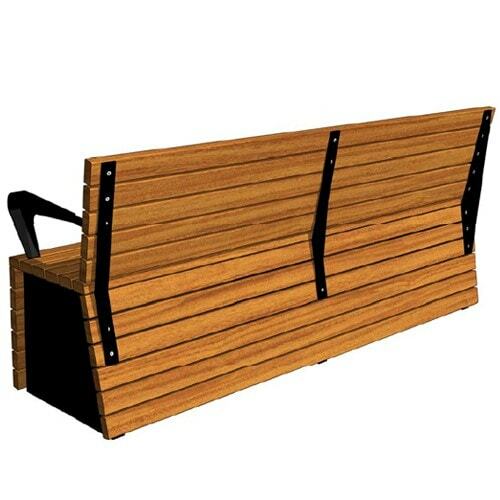 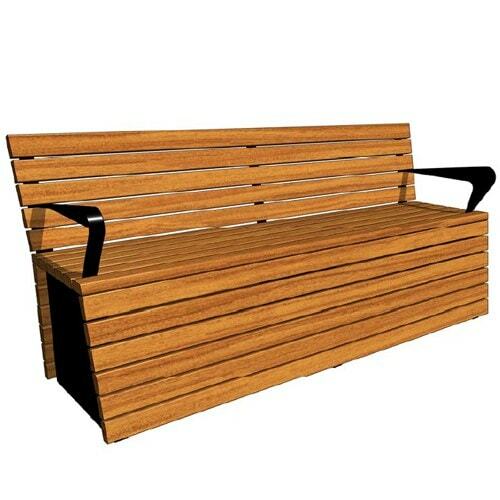 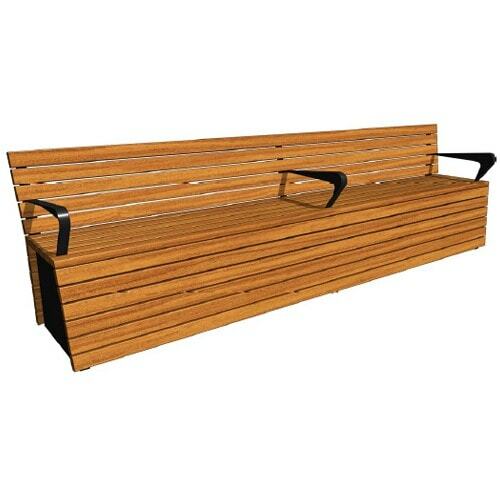 Modules can also be attached to Horizon Seats or Benches. 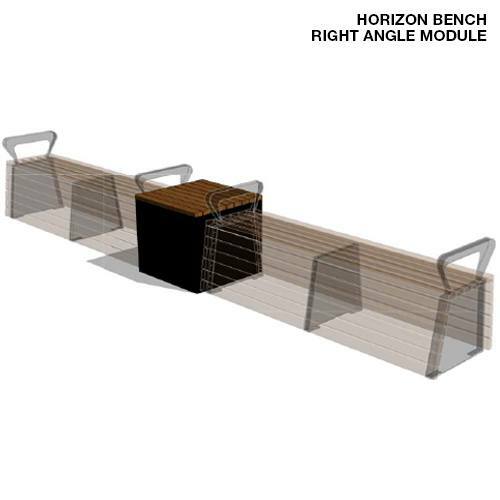 See “Dimensions and Preliminary Drawings” tab below for more downloads of joining modules.